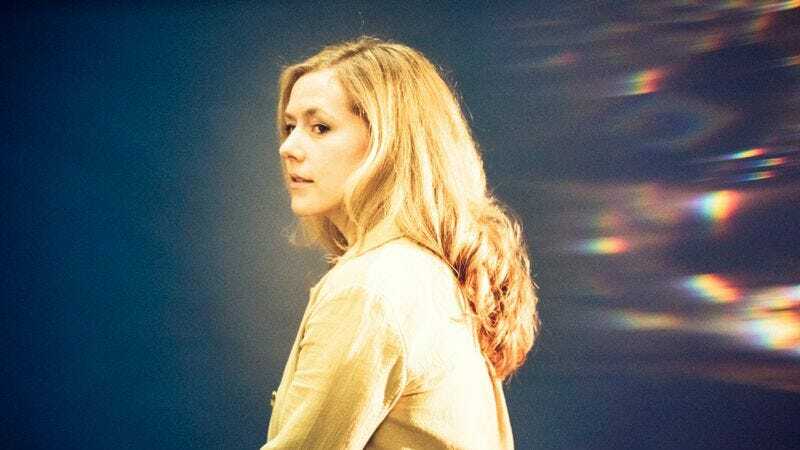 In the family tree of music, Midnight Room, Greta Morgan’s second record under the moniker Springtime Carnivore, directly descends from the retro-alt-country of Neko Case & Her Boyfriends. More recently in the ancestral bloodline would be the retro West Coast rock of Jenny Lewis’ Acid Tongue. As on those foregoing albums, a host of collaborators pitch in to complement the tender and captivating vocals; those efforts and Morgan’s indie-pop leanings contribute enough sonic DNA to give her sophomore effort its own beautiful, self-assured identity. The multi-instrumentalist Morgan proved on her debut that she is more than capable of fleshing out her own material. But she also gels comfortably with her accompanying guests: Jason Boesel, Alex Greenwald of Phantom Planet and Phases, and especially Katy Goodman of La Sera, a frequent touring partner with whom she worked earlier this year on a breezy set of punk covers, Take It, It’s Yours. The resulting blend of twee folk and bouncy, jangling rock suggests a greater potential Springtime Carnivore could have as a band rather than solely Morgan’s nom de plume. That’s not to take away from the personal substance of Midnight Room, which arises from an extended bout of insomnia Morgan suffered after a breakup and while living alone for the first time. From the opening title track and its delicate blend of subdued synths, a brisk guitar rhythm, and a lofty chorus, the record is emotionally adrift, wafting through comfortless heartbreak, warm nostalgia, and the alternative stargazing flourishes of fantasy and fatalistic wariness of delusion. The vehicle for all this is measured, glossy dream pop, polished with smooth, lush electronics and chilled with airy acoustic tones. Rarely does the dose of melancholy sink the album’s spirit, however. “Face In The Moon,” for example, is a bubbling, lively cut, driven by propulsive piano and soaring vocals even as Morgan pleads, “Calling to the dark / Is anybody out there?” And the album’s best track, “Raised By Wolves,” rides a jaunting steel-drum-like hook through ethereal romantic angst (“Can I ever let you in? / Can I ever let you close to me?”). Turning her most pensive moments into a fanciful frolic, Morgan isn’t being passed the torch from Case, Lewis, and the like—she is using the light to find her own way. Purchase Midnight Room here, which helps support The A.V. Club.